The Administration of Medication in Child Care training is an in-person, two-part training for early educators that can be taken separately or all at once. Enrollment in Part 1 is open to all child care administrators and child care facility staff members. Participants learn about NC Child Care Rules and best practices addressing medication administration in child care. Topics included are receiving, documenting, storing, and disposing of types of medication and forms required to be completed prior to giving medication. Participants will learn how to recognize, respond to and report a medication error. Enrollment in Part 2 is open to individuals who have taken Part 1. Participants learn the six rights of medication administration and proper procedures for oral, inhalation, topical, instillation, and simple injection administrations. Administration of common emergency medications such as epinephrine auto injectors and nebulizers is covered. An in-person review of each participant’s skills and competency is required for completion of the training. develop teams of early educators/directors, health care professionals, and parent/guardians to ensure the safe administration of medication to children in early care and education settings. Who is eligible to be an Administration of Medication in Child Care trainer? A CCHC with partner who is a RN, pediatrician, or other licensed health care professional with experience in child health. The RN partner must have taken or taught the course in the three years prior to their CCHC partner taking the course or the RN partner will be asked to re-take the course with the CCHC. For trainers who have neither successfully taken or taught the course in three years, it is highly recommended they re-take the course. 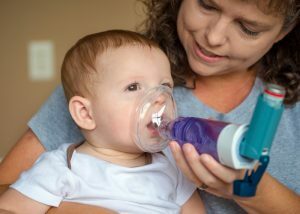 The Administration of Medication in Child Care Train-the-Trainer course is offered several times a year at different locations in North Carolina. It is a face-to-face training and takes five hours to complete. The fee of $25 includes payment for materials and Continuing Education Units (CEUs).